Christian Ignacio Garín Medone is a Chilean professional tennis player. He achieved his highest ATP singles ranking of 72 in March 2019. He was the winner of the 2013 Junior French Open, beating Alexander Zverev in the final. 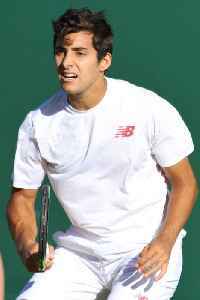 He is the youngest Chilean player to win a high-level ATP match, defeating Dušan Lajović at just 16 years and 8 months old, in the first round of the 2013 VTR Open.